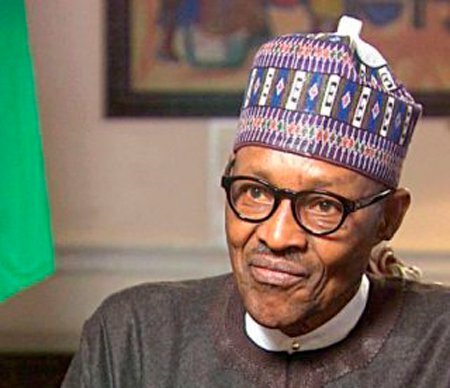 The Kwara State Chapter of the Christian Association of Nigeria (CAN) has threatened to mobilise its members to vote against President Muhammadu Buhari in 2019 general elections. Chairman of the association, Kwara State Chapter, Professor T. O. Opoola, in a letter made available to the Media on Wednesday, said the All Progressives Congress (APC) in Ekiti, Oke-Ero Irepodun/Isin Federal Constituency would also lose votes of Christians, if the injustice was not addressed. The body alleged injustice against a member of the faith, Chief Isaac Omogbenle Adeyemi in the recently conducted primary elections of the APC in the Federal Constituency. “Kwara State CAN condemned a purported substitution of the name of Chief Adeyemi , winner of the primary election for Ekiti, Oke-Ero, Irepodun and Isin Federal Constitution with the name of another person,” Opoola said in the letter. According to them, Chief Adeyemi on the October 5, 2018 primary election for the House of Representatives scored 7931 votes to beat other aspirants; Raheem Olawuwo Ajulo with 7151 Votes, while Ganiyu Subaru with 3463 Votes and Israel Ekundayo Afolaogun with 1359. The letter added: “If the mandate of Chief Isaac Omogbenle Adeyemi is not tampered with, CAN will mobilise Christians for him to win the election, however, if you the mandate given him by the electorate is scuttled, Kwara CAN is left with no option than to mobilise her members to vote for the opposition party because the PDP candidate is a Christian”. The body further accused the Minister of Information and National Orientation, Alhaji Lai Mohammed as being responsible for substitution of Christian candidates for Muslims in the state. The letter also stressed that it was unjust to deny Chief Adeyemi his deserved victory considering the fact he was the only Christian that won just one out of the 9 National Assembly positions (3 Senators and 6 Representatives) positions in Kwara State. CAN further argued that the Federal Constituency has the largest concentration of Christians in Kwara State. It consequently requested that “the party should allow the decision of the people (the electorate) stand in the interest of peace and justice”. The Independent National Electoral Commission (INEC) has up to November 2 to close substitution windows for Senate and House of Representatives.